Top of the World Street Dance experience is here again! Malta Guinness Street Dance Season 3 champions, X-fellas have continued in their dance to the top of the world. This time they are higher than the eagles, not just in Nigeria, but in Ghana and also soars above all in Africa. X-fellas are showing the whole world that they are champions of the concluded Malta Guinness Street Dance Africa season 3 but also want champions of the street dance in the Africa continent. Malta Guinness is making their desire come true as they, X-fellaz slug it out without their African counterparts for the coveted Pan African championship in Ghana. Aside the pan African championship, X-fellas danced to the top of the World on Olumo rock in the ancient town of Abeokuta, Ogun State. 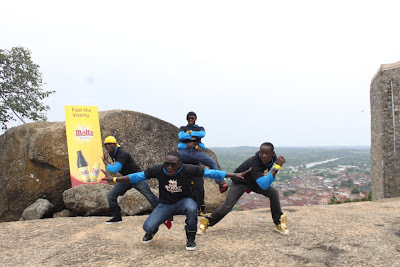 The dance to the Top of the World in Abeokuta was at the peak of the famous Olumo Rock where the entire landscape of Abeokuta town can be viewed. 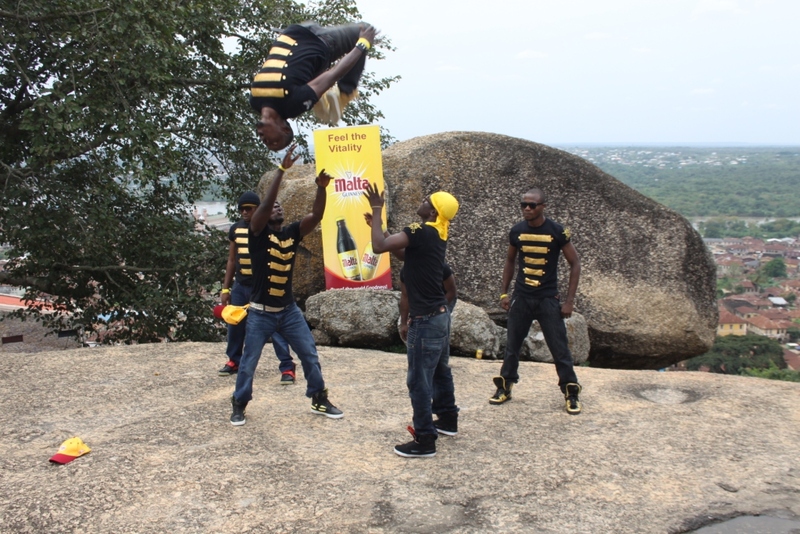 Malta Guinness has also thought about you the adorable consumer of the only malt drink filled with goodness, vitality and energy. 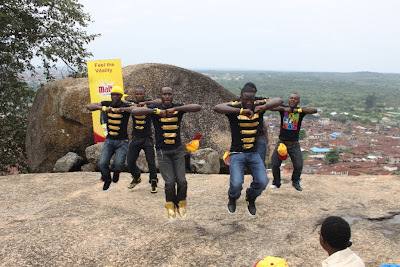 You can be part of the Top of the World street dance experience right from your home from 6th of November to 10th of December 2010 at 11pm every Saturday on all NTA stations. 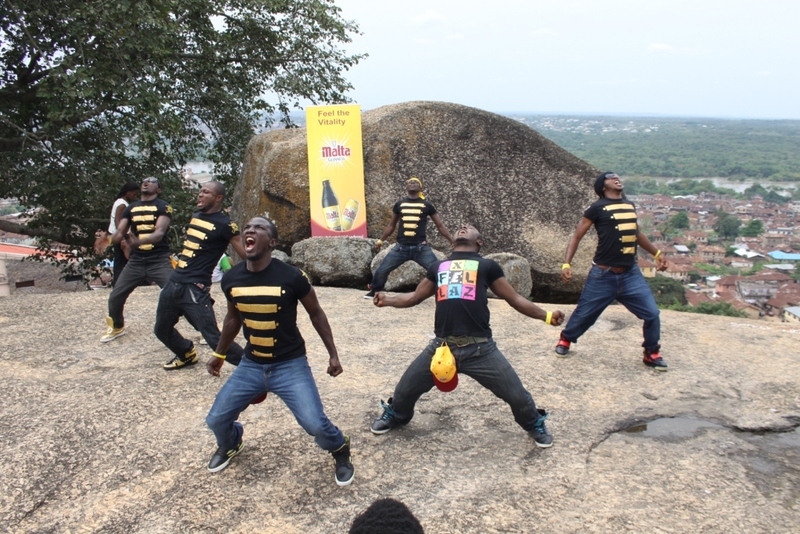 Catch up with these breathtaking performances and pulsating stunt moves of MGSDA season 3 champions X-fellas and other champions of street dance in Africa. Don't forget, it's 11pm every Saturday on NTA Network. You too can dance to the Top of your world! Congrats to them, but the dance in the last picture.. o dikwa risky. My friend Debi, u too much but pls be careful o, too risky but nice Dance, please teach me how to dance na please. Much Love.